Medical billing errors are often the result of common mistakes such as typographical or data entry errors. Unfortunately, making even a simple mistake leads to significant time lost tracking down the source of mistakes, and serious delays in payments. Lost payments drain the lifeblood of a healthcare facility, which relies on a steady stream of reimbursements to keep going. It is up to medical billers and coders, and effective communication with the rest of the office staff, to stop these types of mistakes before they happen. Wrong patient ID number: It's easy to enter an insurance identification number incorrectly. Whether the front office staff enters it wrong or you do, it will ultimately be up to the medical biller to fix and resubmit any claims that were denied due to the wrong ID number. Taking the time in the beginning to make sure all ID numbers are correct will save you from plenty of headaches in the future. Transposing of digits: Just like entering the wrong ID number, it is easy to transpose digits. Just a simple and mindless switch of two numbers can result in denial of your claims and severe delays in payment. Transposing of digits often happens when it comes to entering patient dates of birth, so make sure you double-check all numerical data before your claims go out! Sending claims to the wrong insurance company: One of the most common, yet easiest medical billing errors to avoid, is sending the claim to the wrong insurance company. This usually happens when the person entering the insurance information doesn't get a copy of the insurance card or simply doesn't pay close enough attention. To avoid this common error, make sure your office gets a copy of the front and back of each insurance card, and that your front office staff knows how to verify and select the correct insurance company in your practice management system. Invalid diagnosis or procedure codes: Diagnosis and procedure codes are both updated annually, so it's likely that sooner or later one of the codes that you commonly bill will change or be deleted. If this happens and you bill for the invalid code, your claim will immediately be denied. The easiest way to avoid this type of error is to make sure that you always have the most updated versions of your coding books, and check your commonly billed codes each year to see if they have changed. No code linkage: Simply put, code linkage demonstrates medical necessity by linking your diagnosis code with your procedure code. In other words, your diagnosis has to match up with your procedure. This shows the insurance that the procedures your doctor performed were medically necessary, and that they should pay for them. If the code linkage does NOT show medical necessity, you WON'T get paid for the claim. The more you know about the procedures and diagnosis codes you bill for, the easier it will be for you to determine code linkage on your claims, reducing costly and time consuming errors on claims that should get paid in the first place! An important guard against medical billing mistakes is creating a proven medical billing and coding process. As a medical biller you will become very familiar with the broad spectrum of common medical treatments. You can avoid mistakes by having a good understanding of medical billing and coding. Becoming a certified medical coder or biller will further help you understand and excel in medical billing and coding. Many doctor's offices and medical billing software packages include checklists and reminders to help ensure proper billing and coding practices. Furthermore, if you send claims electronically, they are sent through a claims clearinghouse, which checks your claims for errors. The clearinghouse will send the claim back to you so you can fix certain simple errors before they are sent to the insurance company. 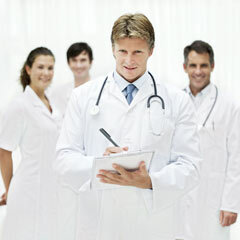 Click to learn more about medical billing clearinghouses. This helps reduce simple medical billing and coding errors before the claims are sent to the insurance company. A good understanding of medical coding guidelines is essential to making sure that all claims are correct. Inter-office communication is also an essential part of medical billing. Making sure the front desk knows how to enter patient and insurance information correctly will ensure that all no charges will be billed with incomplete information. Also making sure that the doctors and clinical staff also know correct coding rules will help ensure that procedures are all done with documented medical necessity and correct code linkage. This also helps reduce costly and time consuming errors and claims appeals. If you have a question about a claim, make sure it gets answered correctly and promptly, so that all your claims all go out the right way the first time! Medical billers and coders are the first line of defense against medical billing fraud. If you notice repetitive mistakes and have concerns about fraud, verify the notes on the patient record with your provider. 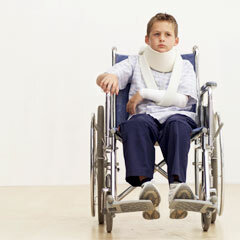 In some cases, medical billers are held liable for mistakes which lead to charges of medical billing fraud and abuse. These charges can lead to fines, penalties, and even jail time. We've put together a list of common medical billing questions which you may find useful in avoiding errors.